You are amazing! I got on the plane and enjoyed myself ! Not merely no panic, but I had fun! I can't thank you enough for helping me overcome my phobia. Hypnosis is defined in Webster's New Collegiate Dictionary as a "state that resembles sleep that is induced by a hypnotizer whose suggestions are easily and readily accepted by the person". The problem here is that hypnosis is really not sleep. It is a state of awareness in which the subject's state of awareness undergoes a definite change. During this altered state which can be induced by the hypnotherapist or can be self induced with self hypnosis, the mind is capable of accepting helpful suggestions in a manner far exceeding normal capacity. Some call the state a trance like state and others refer to it as a state of super-awareness. The real truth is that hypnosis is not trance or deep sleep. Hypnosis utilizes the subconscious mind through suggestions and imagery to effect changes. Hypnosis is a very misunderstood concept in many ways . Most people have many preconceptions as to what exactly hypnosis is. Most are influenced by "stage hypnotists" who seem to have magical powers to get people to do the strangest and "funniest" things on stage. Others are affected by movies where the hypnotist again has "magical" powers to have their subject do their will. Neither of these examples are even close to how therapeutic hypnosis is and can be. 1. In hypnosis, you will not be aware of what is going on. The truth is that when you are in a light "trance" it will feel no different than relaxation. The "trance" state is a normal, natural state. It is a state we experience frequently in life. There's "road hypnosis" that occurs on the expressway when you are driving and all of a sudden realize you missed your exit. You can observe people in elevators as they watch the floor numbers go into a "trance". "Trance" like feelings occur when you are in a movie and when the movie ends, you feel the presence of the movie occupying your mind. The same goes with reading a novel. 2. In hypnosis, you give over control to the Hypnotherapist . The truth is that Hypnosis is not power over another person, but rather a complex interaction between the Hypnotherapist and the patient. It is the means to establish better communication with the Unconscious mind. You are always in control of the hypnosis. In fact, all hypnosis is self-hypnosis. 3. Under hypnosis, you will do things that are against your values or beliefs . The truth is that you only accept suggestions that are consistent with their values and beliefs. A person cannot be made to do something in hypnosis that they would not normally do. And...a person will not follow a post-hypnotic suggestion to do something in conflict with their values and beliefs. 4. A person has to be placed in a "deep trance" before he or she can be helped . Not true! You do not need to be in a deep trance to benefit from hypnosis. Many very helpful and excellent results are obtained when you are in a "light" trance state. 5. People who are easily hypnotized are "weak" people . Absolutely not true. The more intelligent and imaginative you are , the easier it is for you to experience hypnosis. 6. People lose consciousness when under hypnosis. Absolutely not true. In fact, this misconception impairs the individual's confidence and makes it more difficult for the individual to obtain the necessary or desired results. In fact at all levels of hypnosis, the individual being hypnotized is always completely aware of all of his surrounding circumstances. At no time is the individual unaware. Further, the greater the depth, the more awareness, and the better the results.The deeper the state, the more awareness, and the better the results. Important to note: one of the greatest difficulties that the hypnotist will encounter is to convince the client that he/she has been hypnotized. The stats show that over 90% of all people hypnotized for the first time will deny they have been hypnotized and the reason for that is that they felt aware of everything that was said and done during the session. 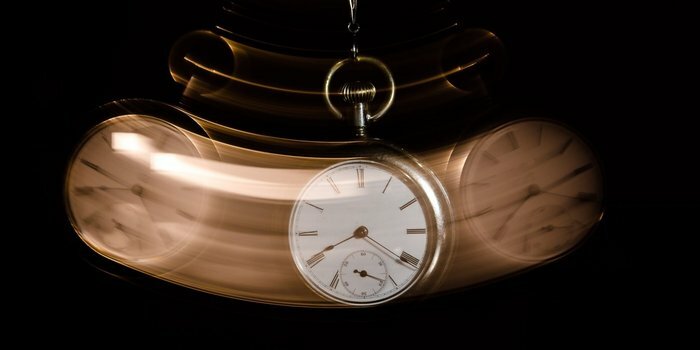 In fact, the average human's attention span is only eight seconds. This may explain why 80 percent of people fail to keep their New Year's resolution by the time February -- this month! -- arrives. The reason: not enough focus. Too often, people just give up, claiming they don't have the willpower to do it. Well, that's not what hypnosis is. Rather, what I'm talking about is a deeply relaxed, highly focused state of awareness that allows you to create lasting change. According to the Mayo Clinic, "Hypnosis can be used to help you gain control over undesired behaviors or to help you cope better with anxiety or pain. It's important to know that although you're more open to suggestion during hypnosis, you don't lose control over your behavior." What's shocking is we've known this for decades and are just getting around to noticing the benefits now. A study conducted in 1970 by Alfred Barrios found that 600 sessions of psychotherapy resulted in an average 33 percent improvement, whereas six sessions of hypnotherapy result in an average 93 percent improvement. I've helped clients conquer their fear of public speaking, then go on to speak in front of audiences with thousands of people. I've seen hypnosis increase people's self-confidence so that they could become more assertive managers or get the big sale they wanted. And I've seen it help still others overcome the procrastination (actually a sign not of laziness but of fear of failure) hurting their businesses' success. What you want to work on can be a goal, something you'd like to release from your life or a habit you'd like to change. Ask yourself how much you want it, on a scale of zero to 10. If you choose a number less than seven on the scale, throw it away for now and come back to it when you want it more. Count down very slowly, saying "I'm going deeper and deeper" after each number, from 10 down to 1, adding in, "9: I'm going deeper and deeper," then moving on to the next number. Repeat "Every day, in every way, I ___(what you are cultivating)______ more and more." Do this 21 times. Twenty-one is a significant number because when you repeat something 21 times, you start to replace an old habit. Spend a minute using all of your senses to feel the way you'll feel when you've achieved your goal, as if you've already done it: See it, feel it, taste it, hear it, touch it. Act as if you have already accomplished the goal, and imagine that you feel how you will feel. Repeat "I can do this, I already am, I am committed" three times. To sum up: Hypnosis is not magic; it's a process of conditioning. In the short term you can expect to feel a lovely, deep relaxation during the process itself and an increased ability to focus on a goal and to reach it for increasingly longer periods of time. As you continue your conditioning over the course of several days (the average being 21 days to see a drastic change), you will find that an ability to accomplish what you set out to do each day becomes almost natural to you. 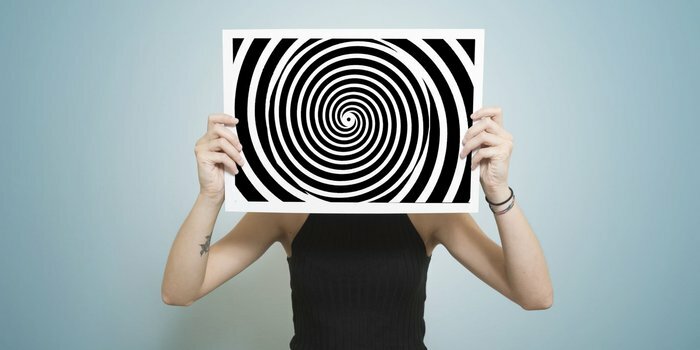 Hypnosis does not increase your willpower, so don't be on the lookout for an added boost to force yourself into something you truly don't want to do. Rather, notice how gradually you innately desire to complete your chosen tasks and find you have cultivated the focus required to do so. The more hypnosis you do, the deeper it will go, and the longer it will last. For many people, hypnosis has become a lifelong practice for continually upgrading their subconscious minds and reaping the benefits it affords them. It benefit you, as well. "You are getting sleepy, very sleepy." When you run into snafus in your business, it triggers your body's stress response, which can lead to elevated cortisol levels and other unfavorable hormones that keep you in full-on freak out mode. This stress response keeps your mind in a problem-focused state as opposed to a solution-focused state. According to the Cleveland Clinic, hypnotherapy uses "guided relaxation, intense concentration, and focused attention" to achieve a heightened trance-like state. This heightened state is so intense that it can bypass the stress you're feeling, which means that the stress hormones that would have been building can take a hike. 2. You can finally sleep like you've been dreaming about. You have about 50,000 thoughts a day, and it's easy for the majority of them to be negative, especially if you grew up with harmful and destructive patterning around you. Hypnotherapy has been used by leading athletes, including Michael Jordan, Tiger Woods and Olympic gold medalist Mary Lou Retton to help them dominate by eliminating negative thoughts. Hypnotherapy can help you to have a similar competitive advantage in your niche. Hypnotherapists focus on guided imagery and future pacing to help their clients see themselves as having already achieved their outcome, and ease the subconscious into the idea that it's already happened. As an entrepreneur, you're continually tackling new things, and many of them require confronting your fears. One of the hallmarks of entrepreneurs is that you're willing to try things that others won't so you can get results that others can't achieve. Incorporating regular hypnotherapy into your routine can help accelerate your progress in your business by keeping your immune system strong, reducing your stress level and helping you conquer your fears.